In the 19th-century the suburbs of Liverpool were little different from that of the suburbs in many other developing cities. There were, however, special features that developed as a result of Liverpool's role as a port, which, if not unique, set it apart from many other places. By far the most vulnerable sections of Liverpool society were seamen and their families. Seamen themselves, on shore while their ships awaited cargoes or tides, were regarded as easy prey by the unscrupulous. 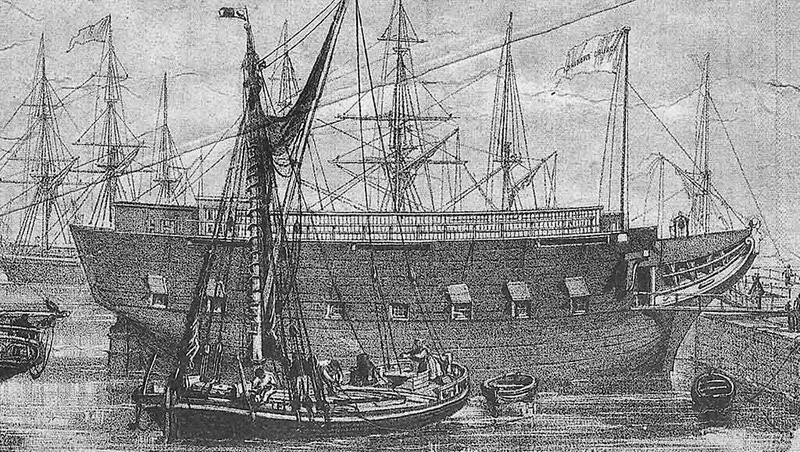 The seaman docking in Liverpool would have his pockets full of tin (cash) having been paid off and their were many hazards that stood between the sailor and his safe arrival at his place of residence. If it were just the pubs, and there were many in the city, that the sailor had to avoid, that would have been bad enough, but there were the prostitutes and the gangs that hung around the docks, seeing the sailor as easy pickings. However, Charity came to the rescue. The Mariners Church which was moored in the Kings Dock. The ship sank in 1872. The needs of seamen spending time in the port while their ships were in dock were various. So too were the temptations of the dockside area. The spiritual welfare of the sailors was tended by churches dedicated to their use. 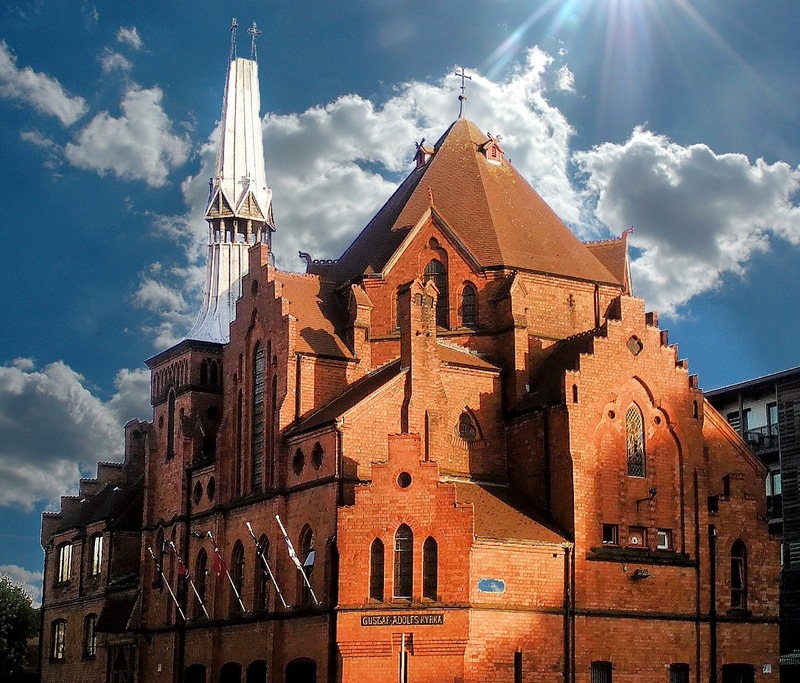 A floating Mariners’ Church, a former merchant ship, was established in 1827 in King’s Dock, and much later, in 1883-4, the Gustav Adolf Kyrka opened near the docks to provide a place of worship and a reading room for Scandinavian seamen. Respite from the streets was also provided through missions. 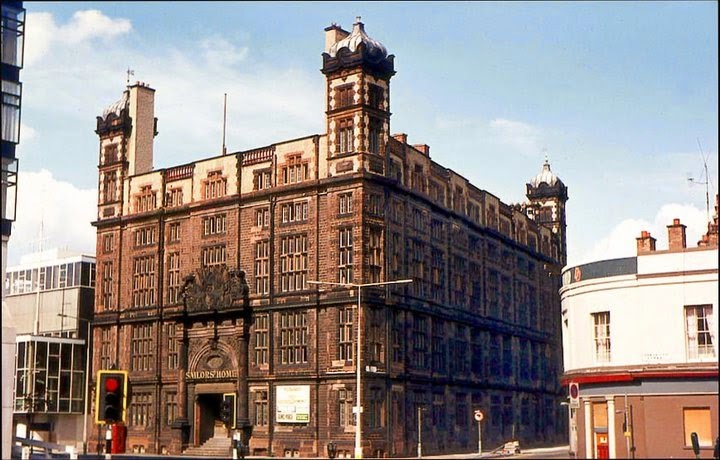 Church House Hanover Street, was home to the Mersey Mission to Seamen and a Temperance house. 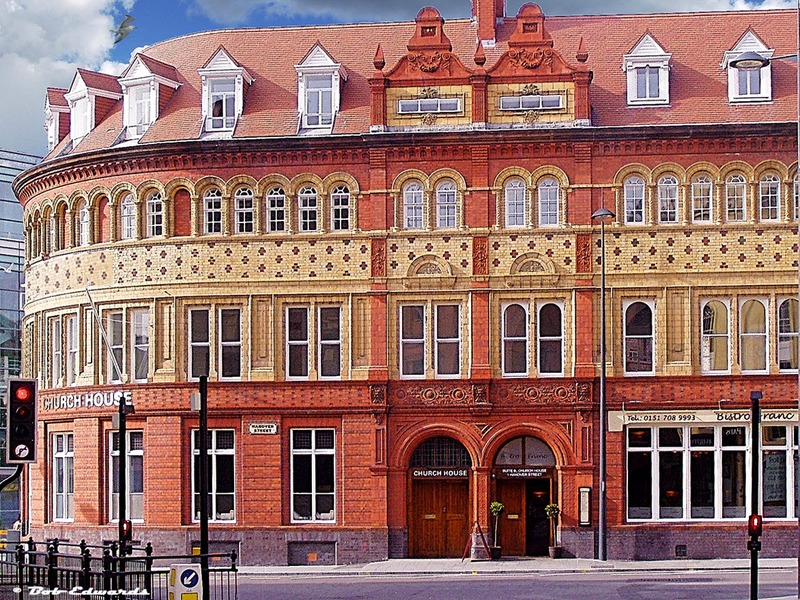 The Central Institute of the Mersey Mission to Seamen in Hanover Street, built in 1885, offered a recreational refuge and had a chapel and reading rooms: the other half of the building was a temperance public house. Almost opposite, in Paradise Street was the Gordon Smith Institute for Seamen, and this too offered a place close to the docks where sailors could gather for wholesome recreation. Safe shelter, however, was also a pressing concern. For those not from the city, a secure billet while on shore was some guarantee against exploitation and a refuge from the easy temptations placed in their path. The streets around the docks were the home of the legendary Maggie May, transported to Australia for a career of robbing sailors, and many more like her. There were many schemes by which seafarers were relieved of their cash. To protect ‘Jack Tar’ on shore, a hostel was established in Canning Place, close to the docks, in 1844, providing board and lodging at reasonable rates. It soon proved inadequate, however, and new larger premises were opened nearby in 1851. This Sailors’ Home, a massive presence, was architecturally extravagant externally; inside, the plain and simple bedrooms opened off an impressive galleried atrium with decorative ironwork. Nevertheless, temptation was all around: one of the many nearby pubs shown on the mid-19th century Ordnance Survey maps mocked charitable effort with the title of ‘The Sailors’ Home Vaults’. The hardships caused by injury and consequent loss of livelihood on the part of seamen and their families were mitigated by considerable charitable effort in Liverpool. A Seamen’s Hospital was built in 1752 to form a group with the first Infirmary, and its purpose was to provide shelter for ‘decayed seamen, their widows and children’. The model for the building was the Royal Hospital for Seamen at Greenwich, begun in 1696, and although it did not compare in scale it was, nevertheless, impressive. In 1771 it housed 413 men, women and children. Later, further refuges were provided for retired sailors: the Liverpool Home for Aged Mariners opened in 1882 in Wallasey, largely funded by William Cliff, merchant, and was made up of cottage homes in a parkland setting, significantly with a view of the shipping on the Mersey.